If you weren’t aware, Autumn is here. It’s that wonderful time of year again when there’s a chill in the air, leaves turn the most dazzling array of golds and reds and that cozy jumper you’ve been harbouring since last year can come out of the closet. But best of all, Autumn brings a whole new selection of winter veg! And this may seem a slight surprise, but ever since I widened my horizons, cooking with pak choi and various squash, I’ve become a bit of a veggie lover. So this squash soup is the perfect thing to come in from the cold to, especially because it’s got a slight chilli kick that will really warm you up. This recipe requires a good kilogram of butternut squash, which fortunately, is going very cheaply at the moment in most supermarkets. And as I’ve mentioned, this was a whole new experience for me, that was very satisfying. Squash is a gorgeous vegetable, which to prepare, you cut off both ends, peel away the thick skin and cut it in two just where the squash begins to widen. After scooping out the soft flesh and seeds, chop up the veggie and roast in the oven. And a final tip: keep every seed you scoop out, as once roasted with a few spices, they’ll be a gorgeous and relatively healthy snack. In a few days, I’ll add a recipe for them. Heat oven to 200C/180C fan/gas 6. Cut the squash into large cubes, and then toss in a large roasting tin with half the olive oil. Season a little or drizzle over some honey (my favourite). Roast for 30 mins, turning once during cooking, until golden and soft. While the squash cooks, melt the butter with the remaining oil in a large saucepan, then add the onions, garlic and ¾ of the chilli. 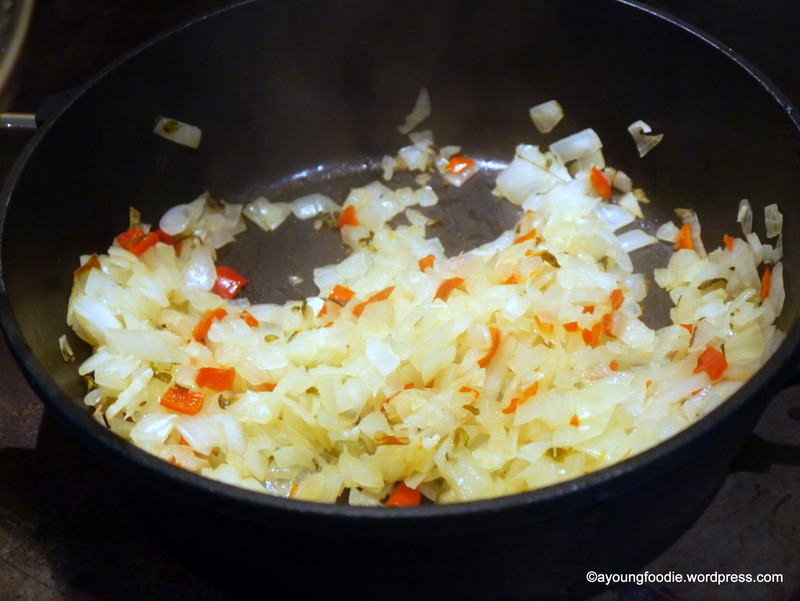 Cover and cook on a very low heat for 15-20 mins until the onions are completely soft. 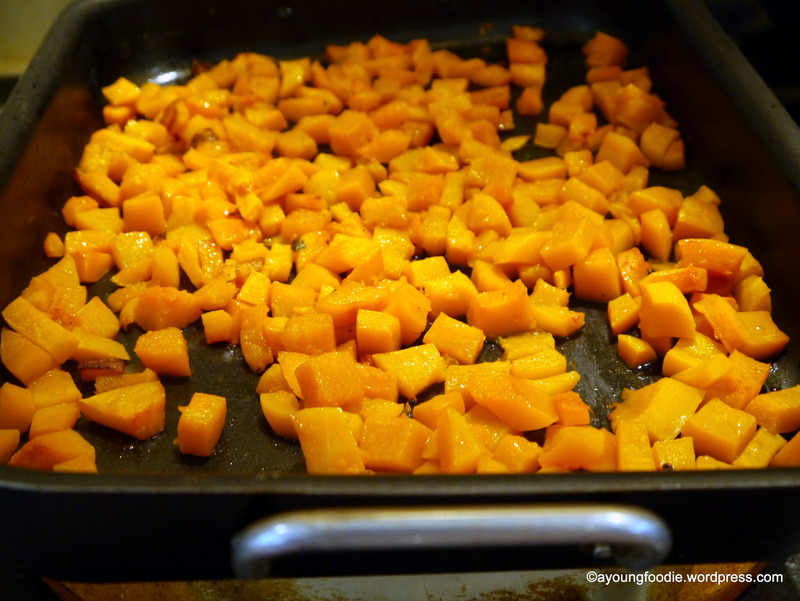 Tip the squash into the pan, add the stock and the crème fraîche, then whizz with a stick blender until smooth. 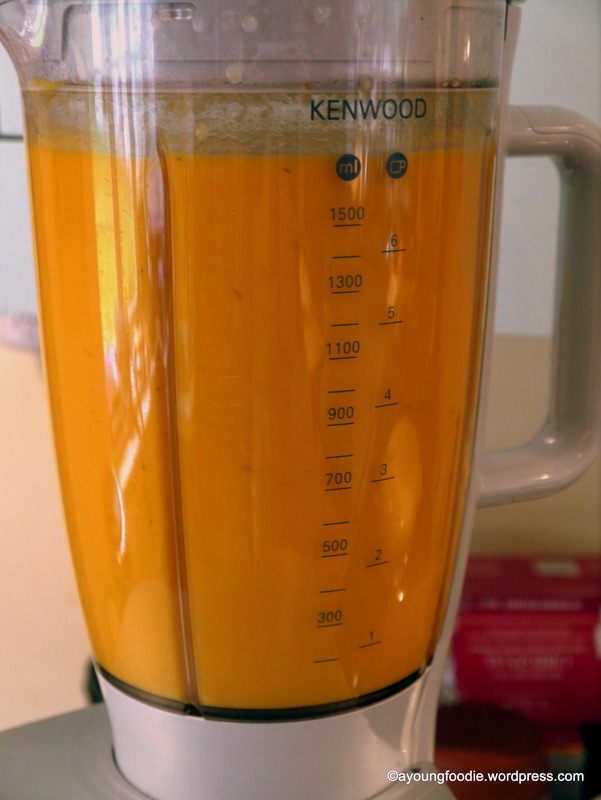 For a really silky soup, put the soup into a liquidiser and blitz it in batches. Return to the pan, gently reheat, then season to taste. 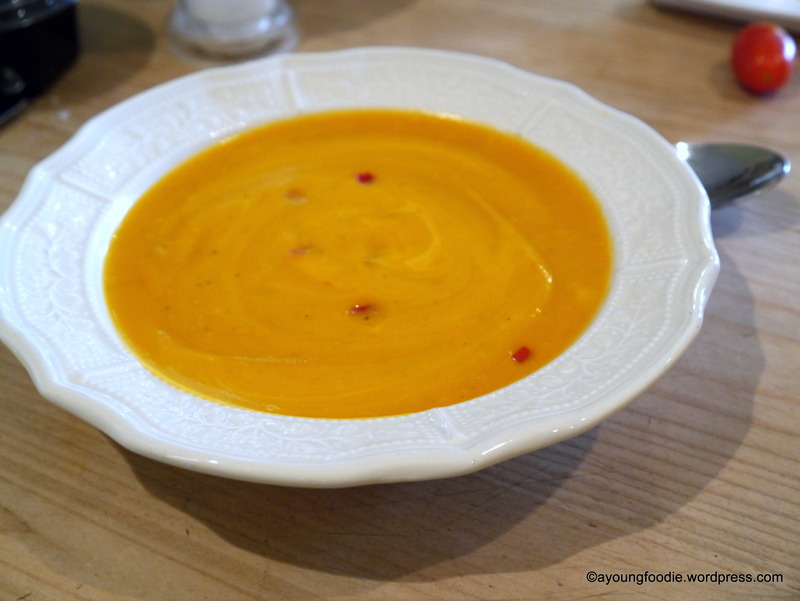 Serve the soup in bowls with swirls of crème fraîche and a scattering of the remaining chopped chilli. Categories: Dinner, Halloween, Lunch | Tags: autumn, butternut squash, Cooking, dinner, Food, food photography, halloween, Lunch, Meal, october, photography, pumpkin, soup, squash, warm | Permalink. Lover of lomography and typical food-crazed teen. In the process of rekindling her passion for blogging. Thanks, and believe me, I had the same problem trying not to attack it as it came out of the Aga!